Rose Day - Do you know what color and how many you should gift? 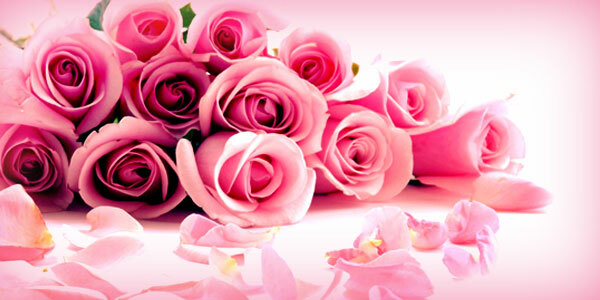 Tuesday, Feb 7 is Rose Day. You might be knowing this especially if you want to convey your feelings to your special someone on this special day. But, do you know what it will signify if you gift 7 roses on Feb 7 to your special someone? It actually conveys that you're infatuated with that person. If you've liked this idea, you can go through the following lines for more such ideas to celebrate this Rose Day uniquely. There is not a single meaning but different colors convey different meanings. So, check out and order your special color beforehand in order to convey your message correctly. Besides the colors, the numbers, that is, the number of roses you’re gifting also convey meaning. Check out how many roses you should gift in order to convey your message without uttering a word. Just 1 rose - If you gift 1 rose to someone, he/she will automatically understand that you want to say that you’ve fallen in love with that person at the first sight. Presenting 5 roses - You should choose 5 red roses if you want to say someone that you love him/her very much. Gifting 7 roses - If you just want to convey that you’re infatuated with that person, then simply gift 7 roses tied with a nice knot. A bunch of 9 roses - You can gift this to someone with whom you’re ready to spend your entire life. Giving 10 roses - Make a lovely bunch of 10 roses to appreciate that she is beautiful and you admire her beauty. A bouquet of 15 roses - Handing over a bouquet of 15 roses on the Rose Day is perhaps the best way to say that you’re sorry for your deeds. The person you’re gifting will surely forgive you. Presenting 108 roses - This number is really helpful for you if you want to propose your girlfriend/boyfriend to marry you without uttering a word. A bunch of 365 roses - You can mention in your greeting that there are 365 roses to symbolize that you love him/her every single day. It will convey the similar meaning instead of giving 1 rose each day. Gifting 999 roses - If you gift a bunch of 999 roses on this day, then it will signify that your love is eternal. A bouquet of 1001 roses - Finally, a lovely bunch of 1001 roses will automatically speak of your faithful love. It is not necessary to gift fresh roses always. Though a fresh rose or a bunch of roses look beautiful but you can think of giving something which won’t perish easily. One of the best ways to immortalize your feeling towards your special someone is to gift a crystal rose. If you want, you can choose a color according to the meaning you want to convey. However, buying a crystal rose can be a pocket pinch. It usually ranges in between $200 to $350. Alternatively, you can look for rose tealight and candle holders, which can set the perfect mood for a romantic candle-light dinner. You can go out of the way to gift a stylish silk scarf with images of roses. You can look for such scarves in the stores or buy them online. The price usually varies in between $9.99 to about $50. Rose Day can be an opportunity to earn too. Is it too good to be true? It can be true; only you need to put a little effort. If you are a student, then take advantage of Rose Day and make some rose artifacts which you can sell to your friends and earn some extra dollars, which you can put towards paying off your student loan debt. This can be one of the lucrative strategies to pay off student loan debt. You can also make a nice rose artifact with your own hand and gift your special someone. This way you can make a personalized gift without incurring additional debt. You and your partner can also make a joint venture to sell roses or make special rose bouquets and sell it on this special day. By doing so, you can spend time with your partner and also help each other to earn some extra dollars, which in turn can help you to be debt free or use the amount to improve your financial situation.